What Is the Difference Between a Gable Vent & a Ridge Vent? 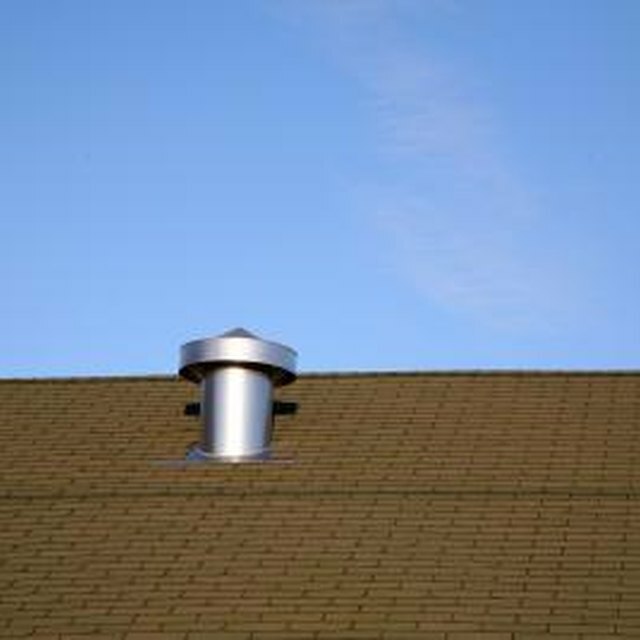 A ridge vent is a product that fits over the length of a roof ridge and allows air to flow from the attic through the vent. Turtle vents are round-edged square vents that are installed at different areas of the roof. When installing a ridge vent, a three- to four-inch section of roof decking is cut out, and the ridge vent is installed over the hole, with cap shingle covering the ridge vent. Turtle vents are installed over a hole in the roof prior to shingles being installed, and the shingles are laid right up to the turtle vent. The amount of ridge vent required to equal turtle vents is much less and therefore can be more desirable visually than turtle vents. Many think that selecting ridge vent versus turtle vents is an either/or decision. However, that is not the case. When remodeling, you can add additional venting of a different kind, if needed. The style of your home and whether or not you want to keep with the historical theme of the home has some bearing on your ventilation preference. A ridge vent is less obtrusive. Ridge venting is designed to work in conjunction with eve vents that pull air in through the eave so it will flow through to the ridge. If the eve is unvented or obstructed, the performance will suffer. David Miller is a Kentucky-based freelance writer who has written on a variety of subjects for eHow. He has also written content for many websites and small businesses. He has a background in the technology sector which he still pursues and enjoys.